The one-time dream of having an upscale housing development in Girard is nearly fulfilled. 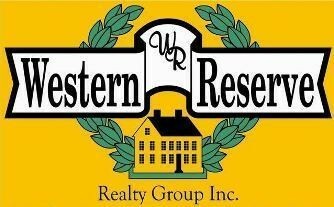 With only six lots remaining, Seneca Woods of Girard has been called one of the finest devlopments in the Valley. Its $23- to $25-million value has greatly enriched the city of Girard during the past 10 years. With stunning, custom-built homes ranging from $200,000 to $600,000, Seneca Woods is an exclusive development at the north end of the city, adjacent to lovely Tod Park. This is a wonderful area in which to live and raise a family. Girard schools were ranked among the top three school districts in Trumbull County in 2002, and Seneca Woods provides a quiet, private neighborhood with cul-de-sacs, woods and creeks, plus public water and sewer, sidewalks and streetlights. Each lot is sold with restrictions, ensuring the continued beauty and eminence of this development. Seneca Woods is being marketed by Simeone Real Estate Inc., developers of The Vineyards of Poland, King's Lake in Canfield and the new, soon-to-be-started The Lakes at Sharrott Hill in Beaver Township. The quality construction in Seneca Woods is provided by HBA member Majestic Homes, LLC. Majestic Homes' talented staff can work with home buyers' pre-existing plans or help them to design their dream home. For home buyers who do not want to wait for construction, Majestic Homes is currently building a beautiful ranch home at 392 Moccasin Trail. With more than 2100 square feet of living space, this luxurious home includes three bedrooms, two full baths, a gourmet kitchen with a large island, a two-sided gas fireplace between the Great room and formal dining room, a Jacuzzi in the Master suite, central vacuum and security systems, and 10' ceilings throughout. Not quite finished, buyers still have time to choose their own ceramic tile and carpet styles. This home is estimated for completion in six to eight weeks and is listed for only $256,900. Do not miss the opportunity to experience luxury living in this prestigious development. These last six lots will not remain available for long. For more information about Seneca Woods, please call John Simeone of Simeone Real Estate at 330.545.6969 or Lou Limongi and Chuck Creatura of Majestic Homes at 330-545-4578.